Plenty of people coming to the Isle of Wight on a country cottage holiday choose to opt to stay in a village to get away from the hurried hustle and bustle of general life. Waking up on this diamond-shaped island in a pretty little quaint village with the sun streaming through your window is a wonderful way to start the day. Village stays are perfect as you can weave your way through narrow streets, discover independently owned shops selling anything from handmade jewellery to tasty chocolates, and feel like a part of the township surrounding you. We have lots of self-catering cottages in a village available to turn this desire into a reality. 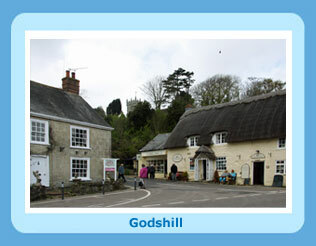 The Isle of Wight has several villages such as the quintessentially English parish of Godshill. Godshill has lots of charming and characterful cottages sprinkled throughout the picturesque streets and is home to the largest church on the island and the Old Smithy – an old blacksmith shop. 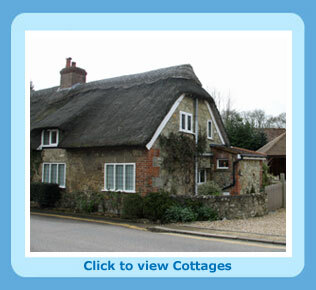 Another beautiful village in the Isle of Wight, perfect for having a cottage holiday in is the small village of Niton. Though it is small it has many things to offer including some of the best scenery on the island – perfect for long walks through the countryside on a bright morning with a loved one. With a pub and a shop, the charm of the community prevails as not much development has occurred over the years, enabling Niton to retain that wonderful village magic. If you would rather stay in a village by the sea then a stay at Ventnor may be perfect for you. More of a little town these days, it is the hottest place on the island as it is south facing and features some stunning sandy beaches and scenic cottages. There are countless cottages in a village in the Isle of Wight available to rent for a perfect holiday for you, your family, friends and loved ones. The Isle of Wight is packed with plenty of activities to do and sights to see, but sometimes it can make a lovely day out by just having a wander around a quaint village that is steeped in history. Having a walk around some villages in the Isle of Wight is almost like stepping back in time as many have retained the same charm that they have had for hundreds of years, with centuries-old churches, tiny populations and wild and rugged countryside to explore. Lap up the fresh country air on a wonderful Isle of Wight break and have a look at our self-catering village cottages available to rent. It is amazing how a holiday in a village allows one to get to know a village, its shops, pubs and people. Local people on the island are generally very friendly and willing to stop and share a few words. Some will have retired to the island and are happy to meet people who hail from the same part of the country that they come from to share news of 'back home'. The community spirit of a village can be a revelation to city dwellers. It is always nice to return from holiday with new knowledge and experiences that could benefit life back home.